The really unofficial after Party BaselWorld. 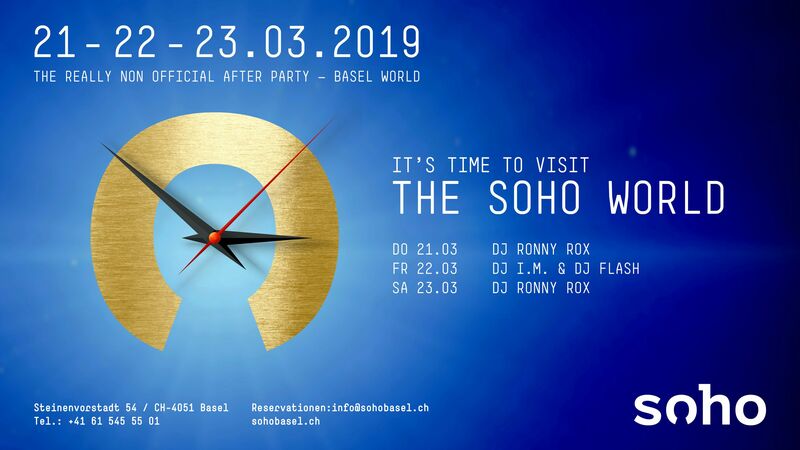 During the Basel World visit our own world - the Soho World. Let's welcome the BaselWorld and all their guests around the world on Thursday, Friday and Saturday evening. Let's celebrate! Delicious cocktails, DJ's at the turntables and people from all around the world. Cheers!